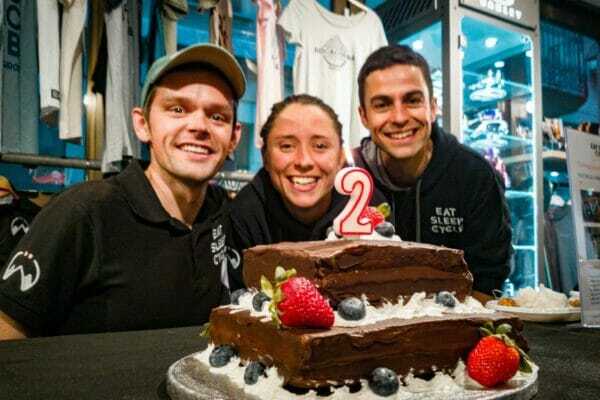 In Photos: A Busy Weekend at Eat Sleep Cycle! What a weekend!! Girona was buzzing with the launch of Chpt3 in the Eat Sleep Cycle Hub on Friday night, followed by the celebration of Eat Sleep Cycle’s anniversary with beautiful rides and a delicious cake on Saturday. Here’s our pick of our favourite photos from the event. A huge thank you goes out to everyone who’s supported us over the last couple of years – it’s been one hell of a ride! 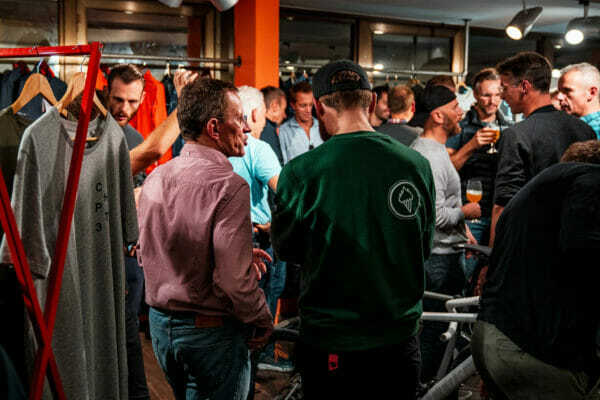 The fun began on Friday with the launch of CHPT3 in our Girona store; an innovative brand created in Girona by ex-professional cyclist David Millar. With a new collection inspired by the city itself we’re proud to work with Chpt3 and join together in showcasing the best of Girona’s culture and cycling. 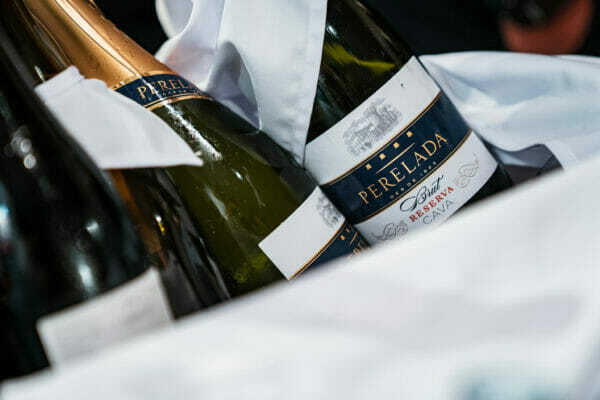 Our very own Brian Canty & David Millar welcomed our guests, plied them with cava & beers and together we toasted to the partnership. Saturday marked the celebration of our two year anniversary and we celebrated in the only way we know how: a big old bike ride! One headed to our traditional destination of Mare de Deu del Mont on a gorgeous route totalling 120 km and 2,000 m. For those cyclists needing a little respite a gorgeous route 80 km to Esponella & La Mota was on offer, ably guided by the Godfather of Girona, Peter Gaskill. The rides were finished off with cake (exquisitely baked by Silvia) and cava glugged from Eat Sleep Cycle bidons back at the Hub. A huge thank you to those who came out to support the ride, to our volunteer guides, cake baker & to all sending their words of support on social media. May the terrible two’s commence! Thanks for reading, see you out on the road! P.S. 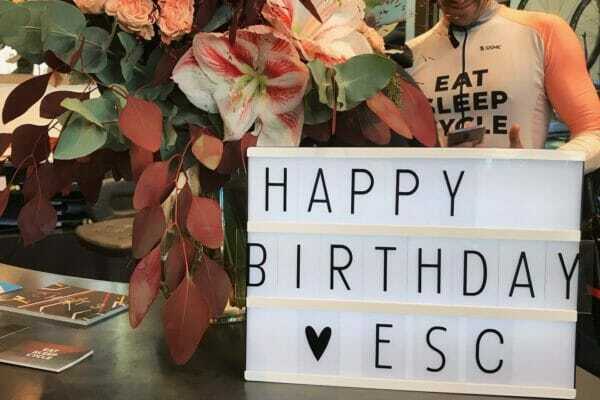 Join our Eat Sleep Cycle Club to get exclusive access to Club Member rides and rewards such as discounts on brands such as Assos and MAAP in The Hub! Heartiest congratulations to the ESC team and much to everyone at the girona hub. Keep riding, keep inspiring! Thanks so much Vijay! Look forward to seeing you back in Girona soon!